Santiago is the capital of Chile and divides the country into northern desert looking part and tourist more attractive southern part. 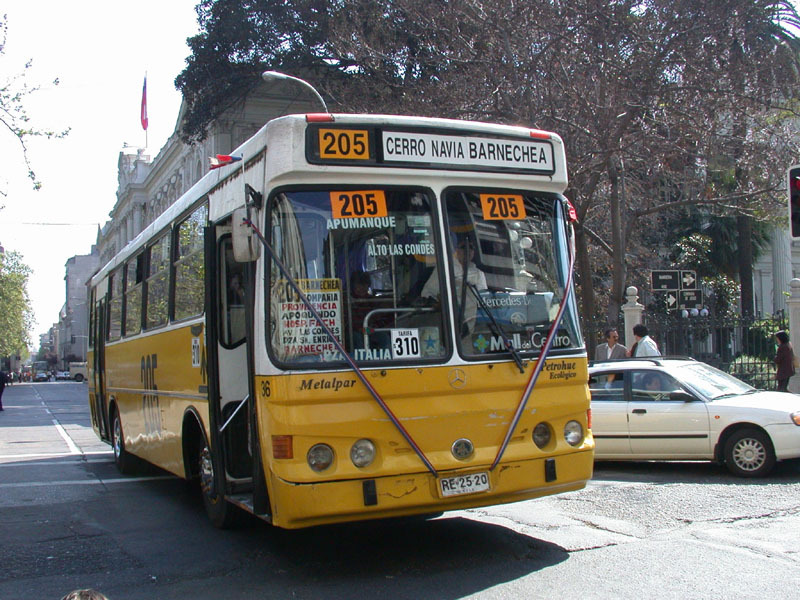 Santiago has about 5 million inhabitants and there is a metro and a heavy foreign travel. 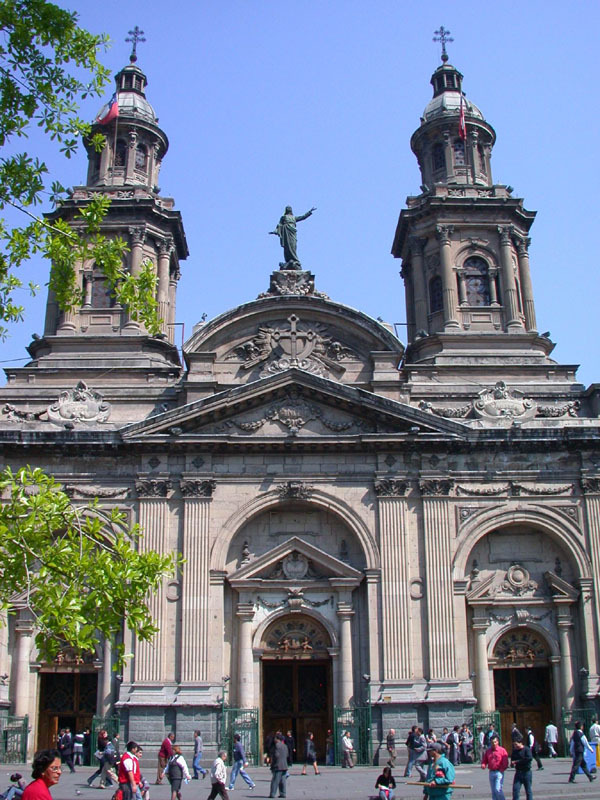 Santiago - Metropolitan cathedral. 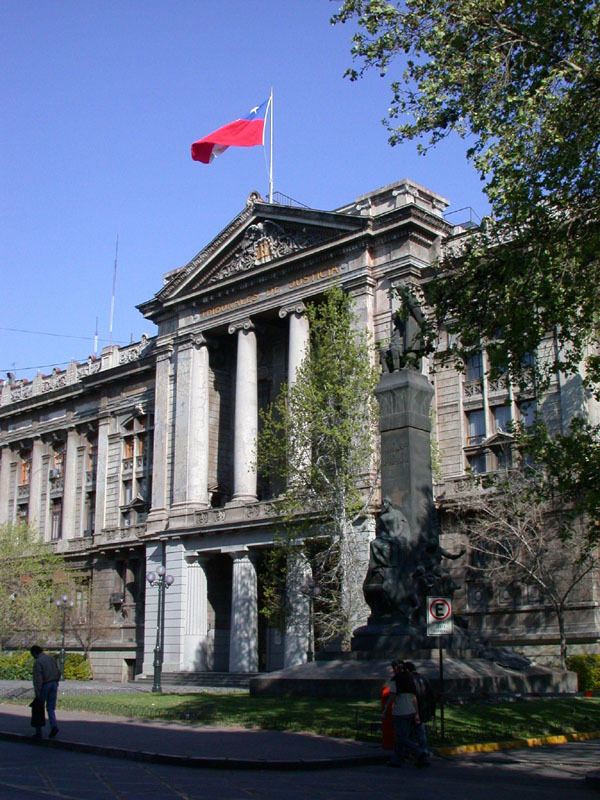 Santiago - Court house. 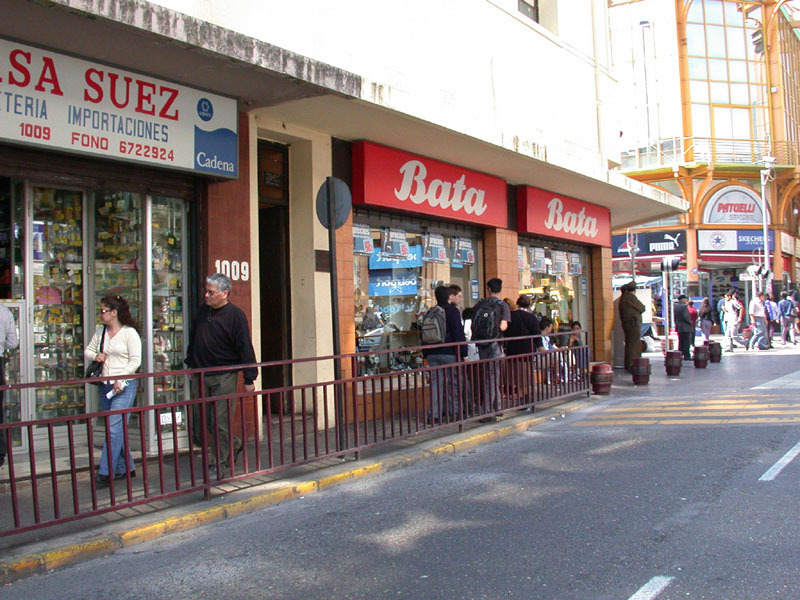 Santiago - Bata shoe store. 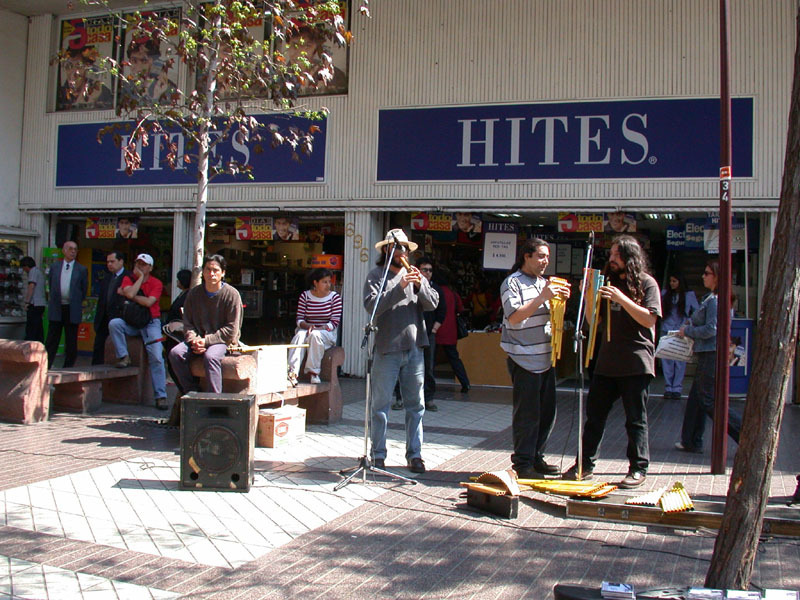 Santiago - street musicians. 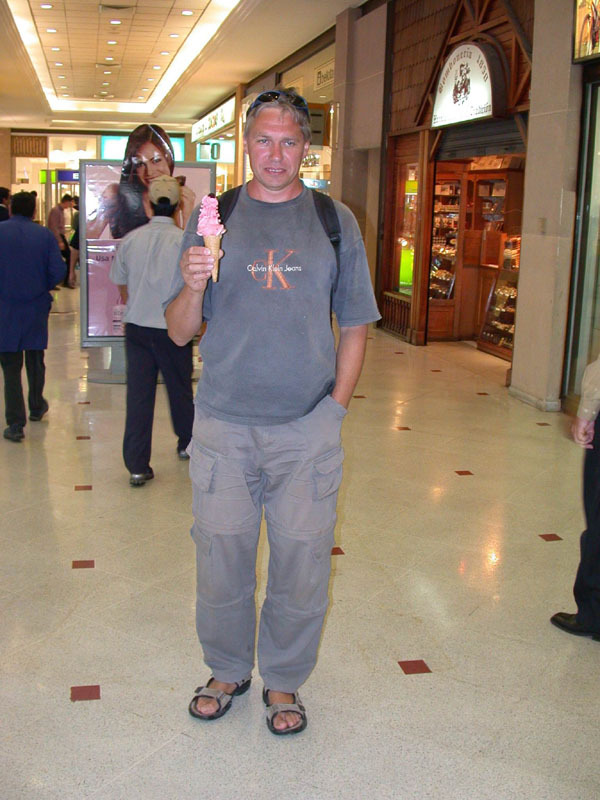 Santiago - Peter is buying the ice-cream made directly from frozen fruit. ... and he already has them! Local buses. 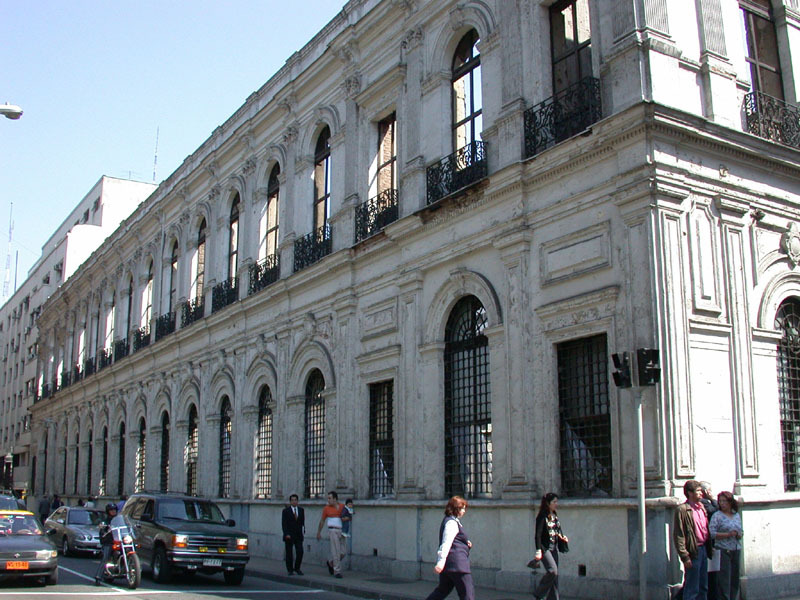 Santiago - older architecture. 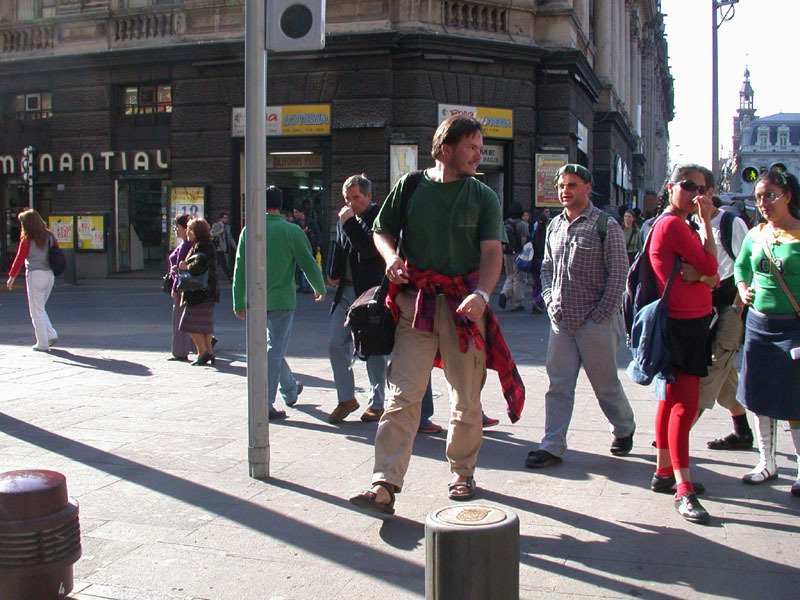 Santiago - our expedition members in the streets. Santiago - streets are thematically specialized. 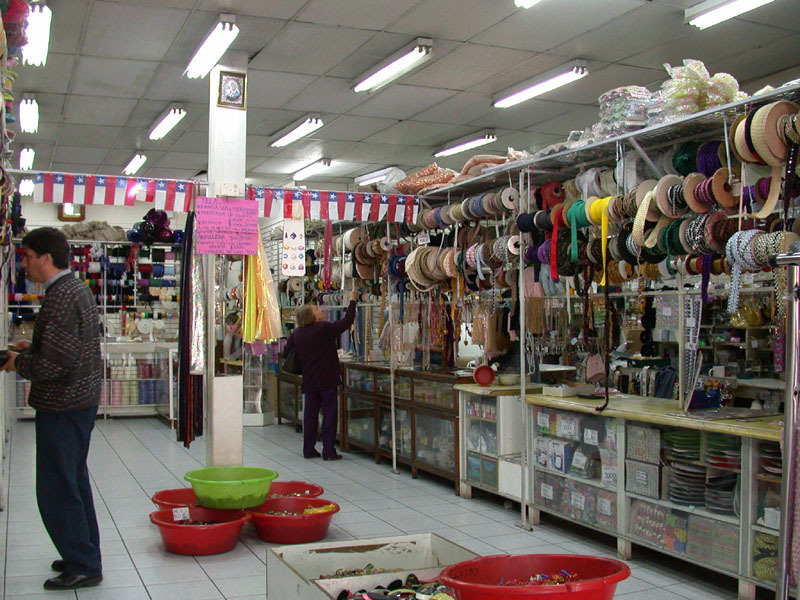 This is a Rosas street and there you can buy anything for sewing. 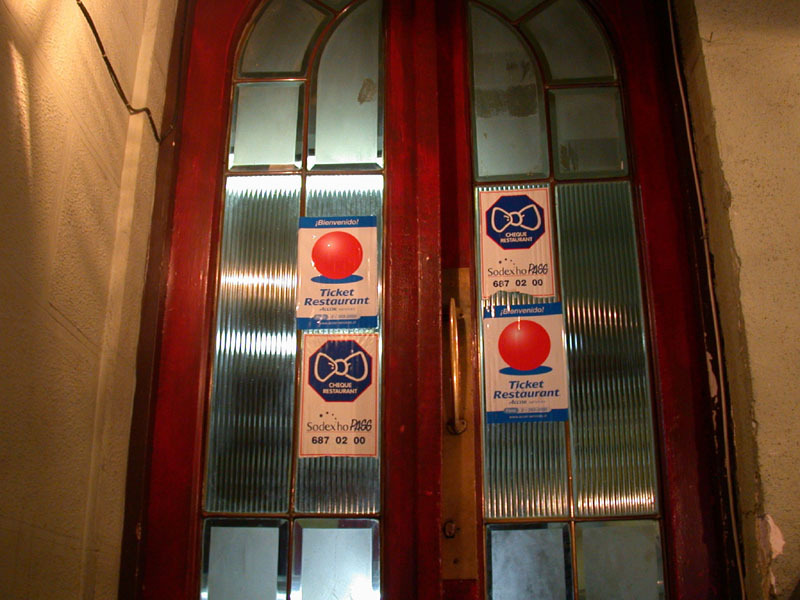 There are lots of shops full of yards, buttons and other useful items. 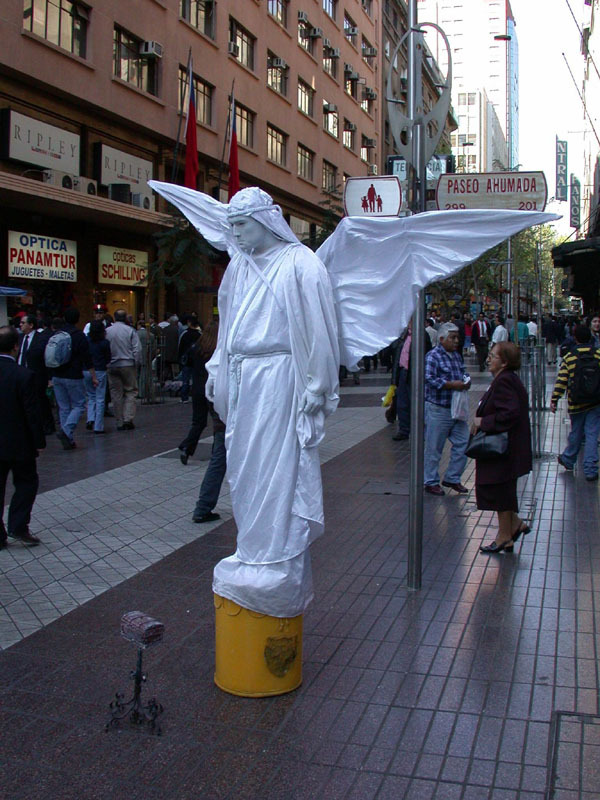 Santiago - revived statues. 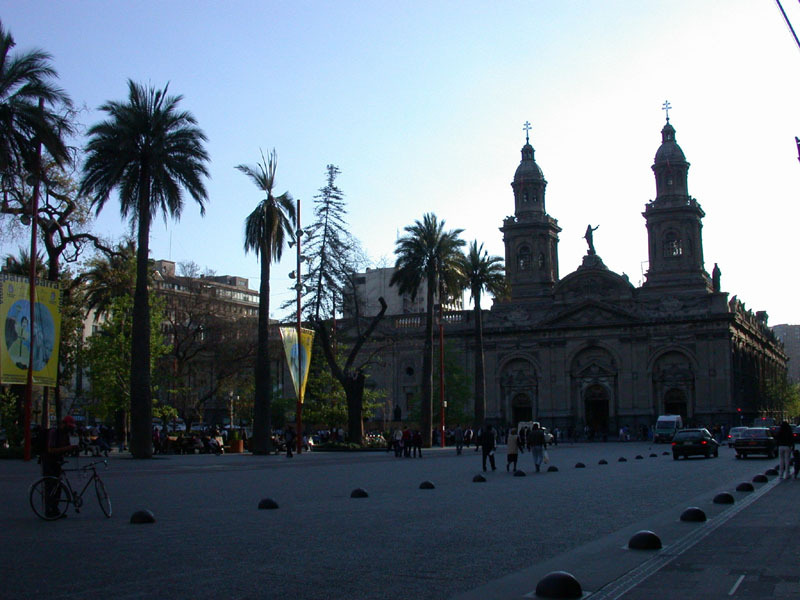 Santiago - square with the Metropolitan cathedral. 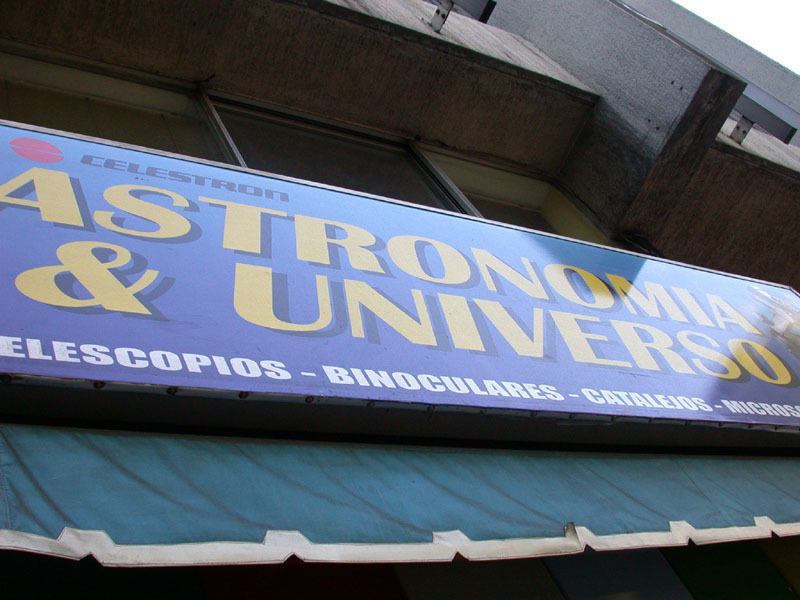 Santiago - shop with telescopes. 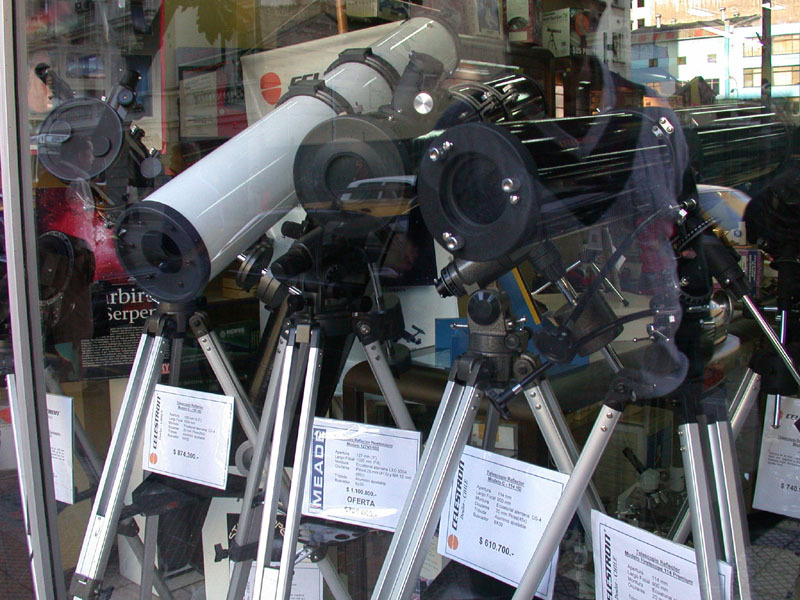 Santiago - shop with telescopes. 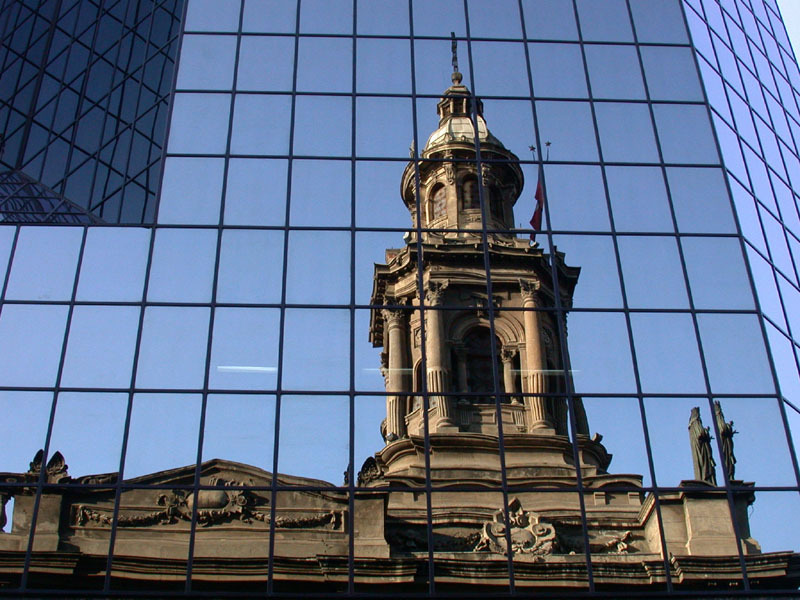 Santiago - reflection of old architecture in a modern glass building. 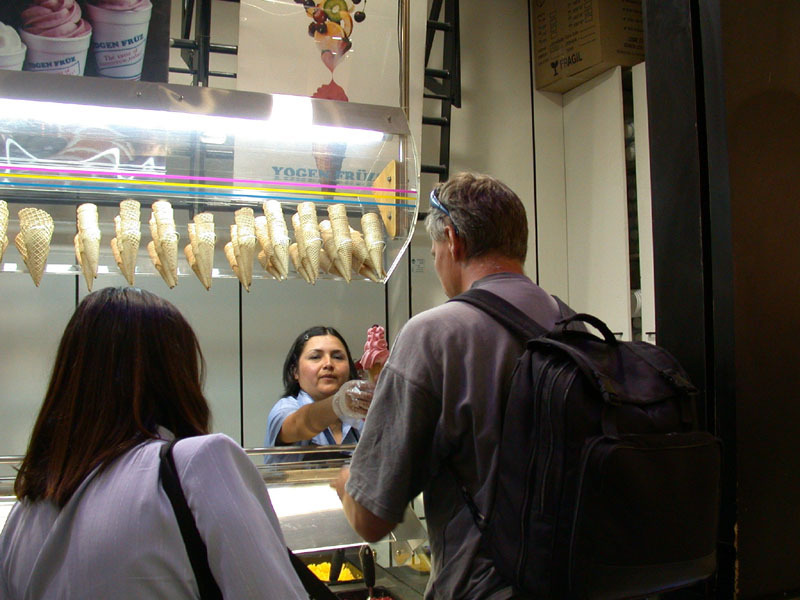 Santiago - they accept paying by luncheon vouchers. 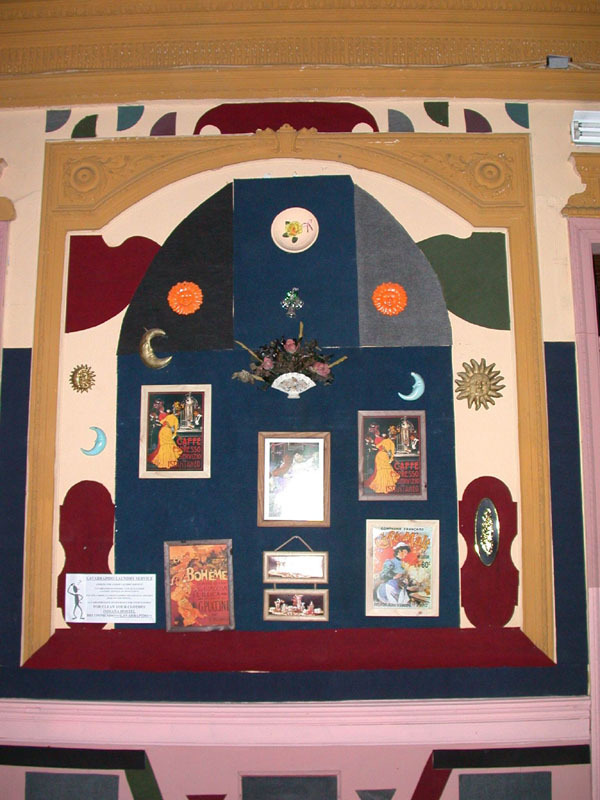 Santiago - decoration in Indiana hostel. 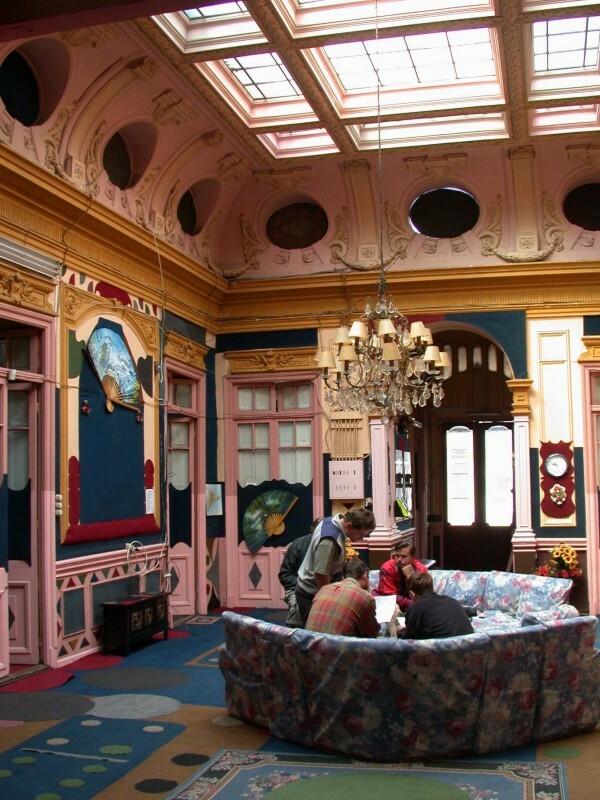 Santiago - foyer in an Indiana hostel.